Top wrestling stars for Hull rumble! ALL STAR will be out to make up for lost time at the City Hall, Hull, on the last day of the month, Saturday 31 March, when an event that became victim of the ‘Beast from the East’ snow deluge earlier in the month has been re-scheduled with a start at 6pm. The evening still winds-up with an American style Rumble with names on the start list including Superslam title holder Oliver Grey, bitter American rival and former champion Harlem Bravado, Humberside’s own heavyweight force ‘Colossus’ Euan Kennedy, metal masked monster Thunder, Potteries powerhouse Robbie Dynamite and mighty midget Mark ‘Little Legs’ Sealey. There will be a tag team showdown introducing ‘Demolition Destruction’ a formidable new combination consisting of Big T Justice and El Shiek Sham facing the always fiercely competitive ‘Henchmen’ Jim Diehard and Benton Destruction. Another evening highlight will be a match for the ‘World of Sport’ Trophy between Wirral-based favourite Dean Allmark and the always fiercely competitive Danny Collins, the former British and European title holder who is now based on the opposite side of the Humber Estuary in Lincolnshire. And to add even more interest to the contest, the winner will be presented with the trophy by ring legend ‘Rollerball’ Mark Rocco making a visit from his Canary Islands home base in Tenerife. The programme also introduces 25 year-old former TV ‘Love Island’ star Adam Maxted who is out to make his presence felt following an impressive return to the wrestling scene after facing top home and foreign stars in Northern Ireland early in his career and before his time in front ot the cameras. Tickets bought for the original 2 March date are still valid and new bookings can be made at the City Hall Box Office, telephone, 01482-300300 and include a special £45 family offer covering two adults and two children under 16. 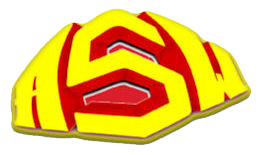 For further information visit the All Star website at: www.superslamwrestling.com or go to All Star Wrestling UK on Facebook.